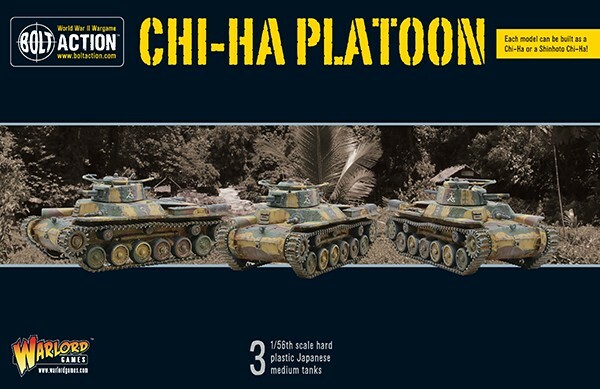 The Japanese empire has waited long enough to bloom and with the new Chi-Ha platoon they are poised to take the entire pacific. 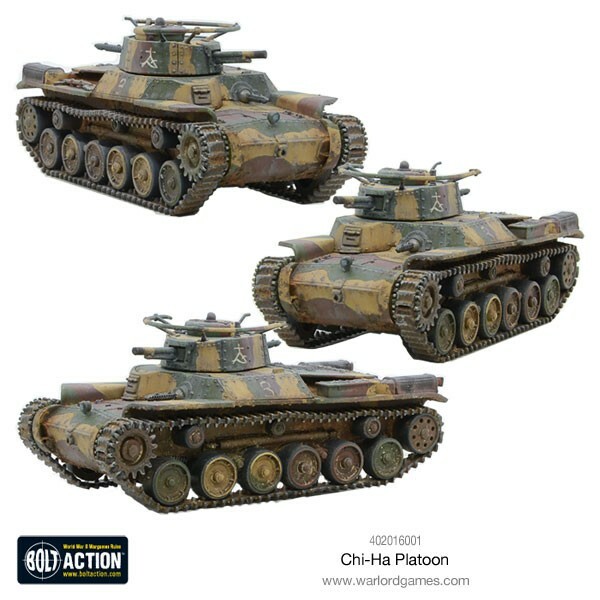 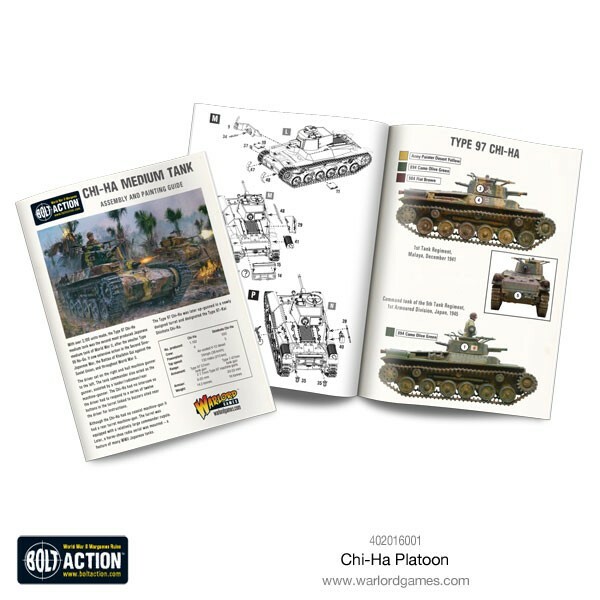 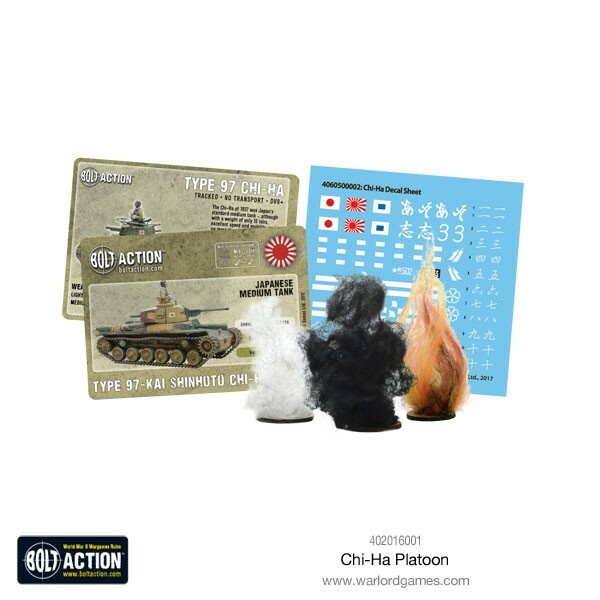 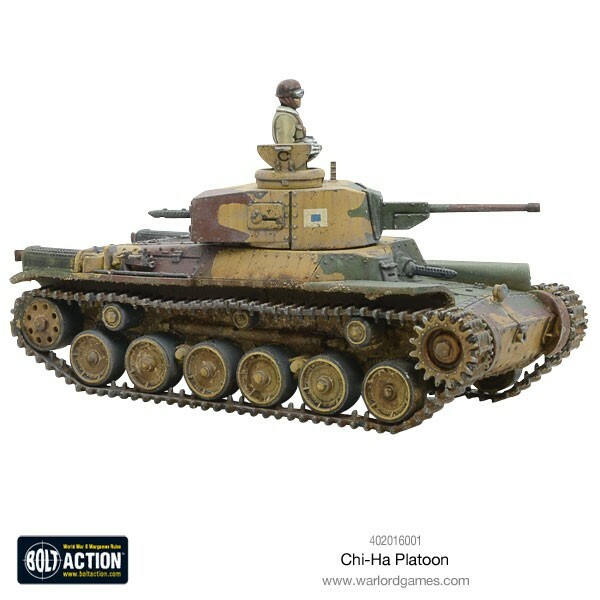 A detailed booklet describing how to build and paint your Chi-Ha’s! 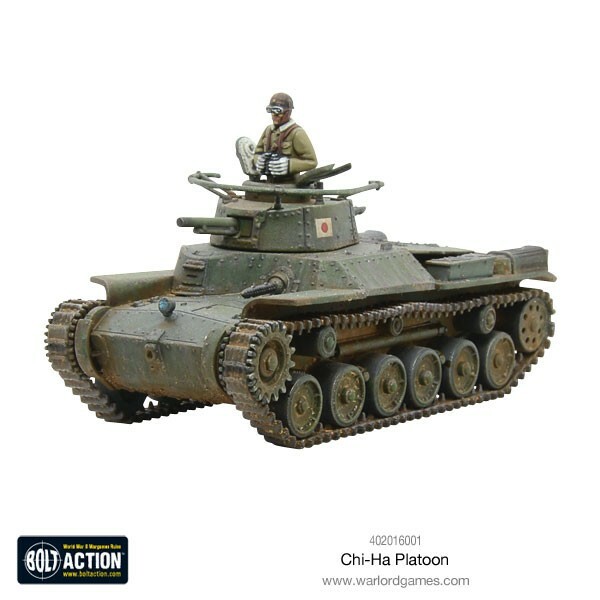 Much like many if not all tanks during the war, the Chi-Ha just couldn’t cut it anymore so the Type 97 Chi-Ha was later up-gunned in a newly designed turret and designated the Type 97-Kai Shinhoto Chi-Ha.